This complex of two cute villas for sale is just an interesting offer for your next investment in Bali. The villas are located in Kerobokan, really close to Canggu, the new trendy area for its surfing site and sunset spots. 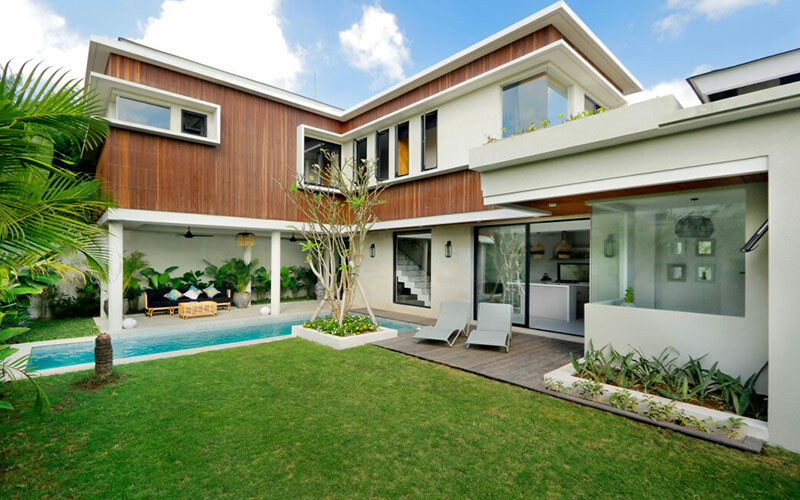 Both villas join through a connecting door that makes them perfect for family and group of friends. One consists of 3 bedrooms while another one has 2 bedrooms with a staff room which is located next to the large parking area. Each bedroom possesses comfortable beds with en suite bathrooms featured. 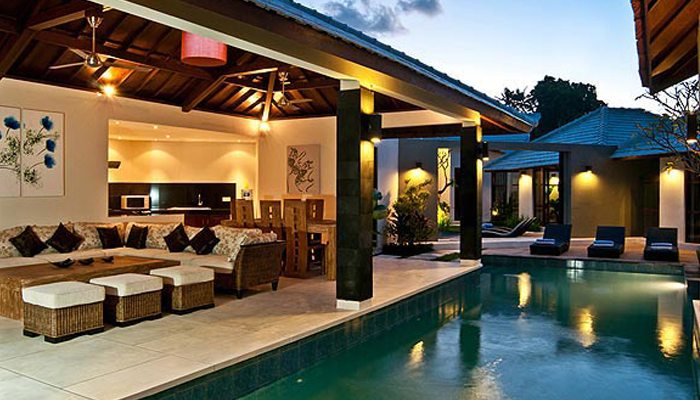 Each villa comes with swimming pool, open air kitchen and living area. Enjoy your time by relaxing under the gazebo giving the view of swimming pool, bordered by tropical garden. Only ten minutes away from the beach and Seminyak, do not wait to get this beautiful complex for your island getaway.